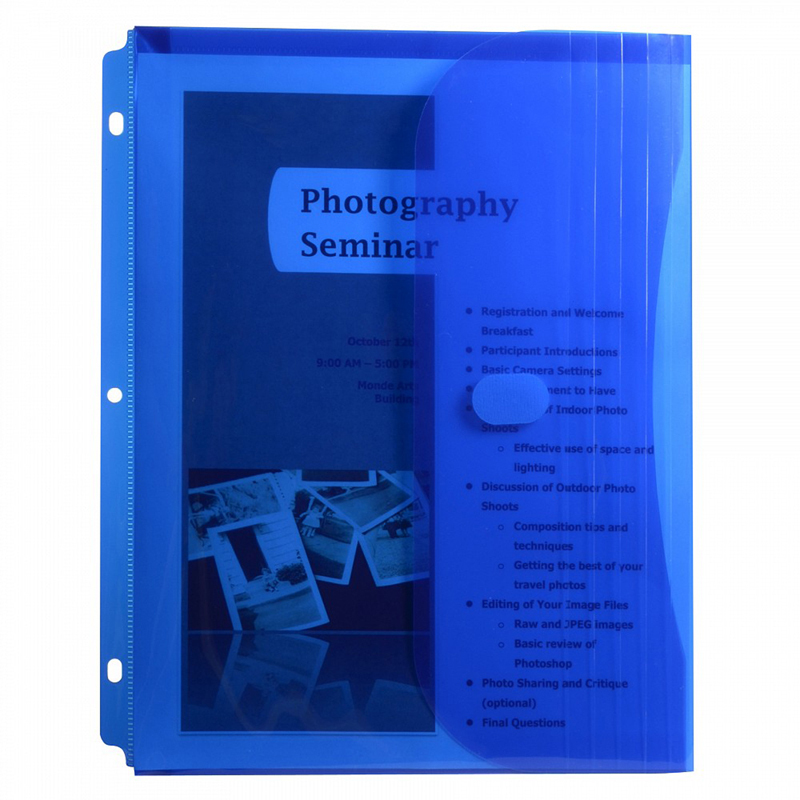 Store unpunched papers in your binder with one convenient pocket. Gusset expands 1 inch for additional capacity of up to 200 sheets. Side loading pocket is secured with a hook and loop closure. Made from durable acid-free polypropylene. For 11 x 8.5 document storage. Fits standard 3-ring binders.